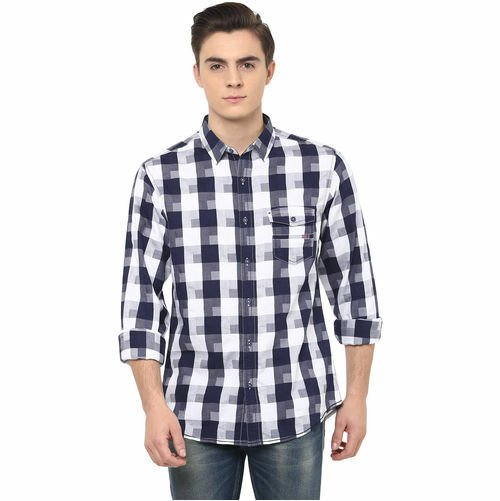 Flaunt your dapper appeal wearing this navy blue coloured shirt from the house of Spykar. 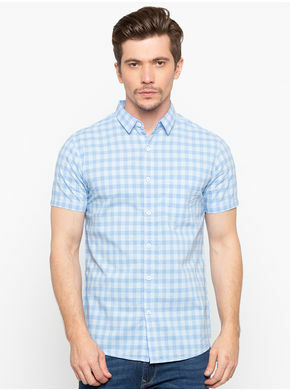 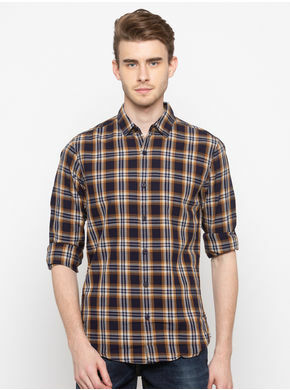 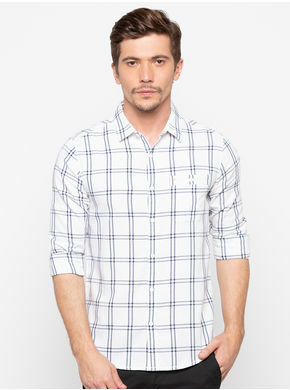 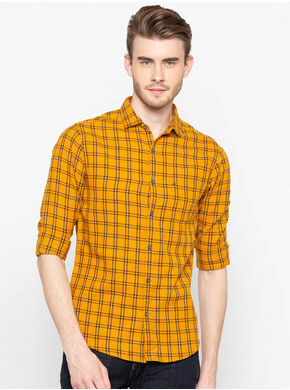 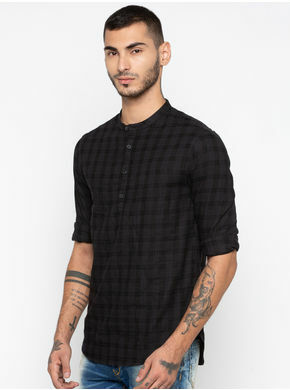 The check pattern further spruces up the visual appeal of this shirt. 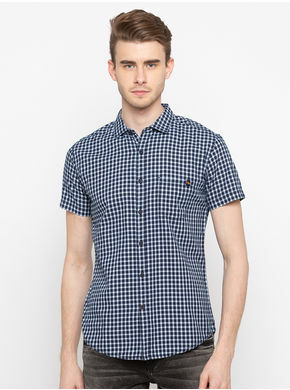 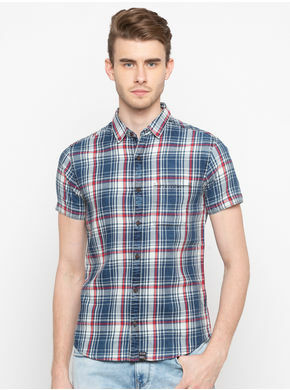 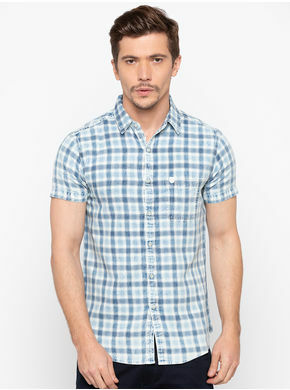 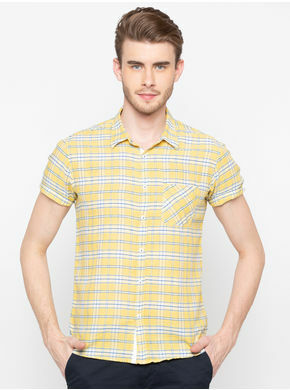 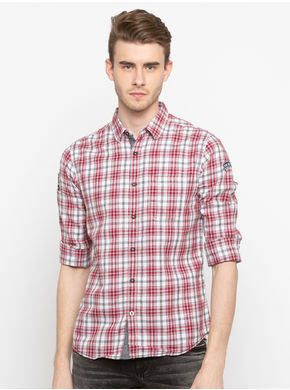 Look better than the rest as you tag this shirt with blue denims and black coloured lace-ups.